On May 1st, two Associated Press articles related to the Mountain Meadows Massacre showed up in my inbox. Journalist Jennifer Dobner wrote both articles, each discussing different aspects of the 1857 Mormon execution of pioneer emigrants in southern Utah. One AP article (“Controversial Lee statue may finally have a home”) relates the mini-saga of trying to find an appropriate resting place for a bronze statue of John D. Lee, the only man ever convicted (and later executed) for the slaughter of the members of the Fancher wagon train at Mountain Meadows. In 2004 artist Jerry Anderson was commissioned to cast the John D. Lee statue which was planned to be installed outside the government offices in Washington City, Utah. Before the installation could take place, enough people complained about the inappropriateness of paying tribute to “a killer” that city officials changed their minds. Since then the statue has either been in storage at the artist’s gallery or standing outside a souvenir shop. Soon, however, it may be moved to a permanent place at Fort Harmony, a fort that Lee helped build in 1854. The other AP article (“Movie revives debate about massacre”) focuses on the Christopher Cain motion picture, September Dawn, due to hit theatres on June 22nd. “The new part that this film brings out is that the Fanchers were probably pretty decent people just trying to get to California. That’s the first time that’s ever been presented to me as a Latter-day Saint.”Past portrayals of the massacre suggested the Fancher party “brought it on themselves,” Kimball said. “Here’s a story that has not been accurately portrayed and has been sequestered by my people, and it’s very important that this story is finally told,” he said. “I think [the movie] went a little too far in making the Mormons bad, bad, bad and the emigrants good, good, good,” said Leroy Lee, a Mormon and the great-great-grandson of John D. Lee. With its “R” rating, many Mormons may not even see the film, bookseller Curt Bench said. Those who do may walk out, irritated by what Bench and others said was a stereotypical, one-dimensional portrait of blindly obedient church members that bordered on cartoonish at times. This is an interesting observation. I see in these AP articles that sometimes people hold unsupportable positions while choosing to remain closed to facts that challenge those positions. Or at least they justify and minimize the issues. In southern Utah we have people who want to honor John D. Lee — in spite of his participation in the unconscionable murders of 120 men, women and children — because apart from leading the execution, “he was a good family man.” It’s okay to honor him — the Historical Society just won’t talk about the massacre. It’s good to honor him, because it will help Lee’s descendents rise above the stigma associated with their ancestor’s crimes. But at least one Lee descendent doesn’t like that. He thinks the movie makes the emigrants look too good, and the Mormon murderers look too bad. He wants to cling to that unsupportable position, the fabricated cover-up that has been repeated for so long among Latter-day Saints. This attitude makes me think twice about Curt Bench’s criticism of September Dawn’s “stereotypical, one dimensional portrait of blindly obedient church members.” Is there still a hint of “religious fanaticism” alive and well in the matter of Mountain Meadows? Obeying Orders at Mountain Meadows: Would You? While I agree the Mormon Meadows event is the “black eye” of Mormon History, one really has to look at the facts before making to many judgments. From Diary entries we know that the Arkansas wagon train was not totally innocent of wrong doing even one member claimed to be a part of the group that killed Joseph Smith. 20% of the current standing United States forces were being marched on Utah which was at the reccomendation of a man from Arkansas. Fact 3. The LDS membership has had an extermination order placed against them in Missouri, Run out of Ohio and Illinois (Nauvoo) as well as had their 1st Prophet Josph Smith Killed in Carthage. Fact 4. Freedom of Religion not really supported by the US Goverment even though it is a constitutional right. While I do not support the LDS membership at Moutain Medows, I certainly understand the events that lead up to this horrible event. All this proves, (nothing).. We are all human with failings. How many LDS people were killed in Nauvoo for example, or how about Hauns Mill? Were these people brought to “justice”? It only proves that the Church is “true” to me while the membership may not be perfect. It proves to “you” or others what ever you interpret out of events like this from your perspective. I hope things are going well for you as we have not corresponded in a while. 17 or 18 depending on the account. No where near the 120 killed in the MMM. To say that Mountain Meadows Massacre is a “black eye” to Mormon history is a total understatement. Ed’s comments are totally irrational. He cannot excuse the guilt of murderous Mormons due to frivolous facts. Below is my reply to Ed’s ignored facts. Ed’s Fact 1 ignored: From Diary entries we know that the Arkansas wagon train was not totally innocent of wrong doing even one member claimed to be a part of the group that killed Joseph Smith. MATTS RESPONSE: Sure, we do know that a group of evil masons killed Joseph Smith. Does this mean that all masons bear some responsibility for the killing of Smith? Many Mormons are part of the Masonic Lodge! Do Mormon masons retain some guilt for the gun battle at the Carthage Jail? Of course, not. The Illinois masons were upset that Smith had violated his oath not to reveal the Masonic rituals and they killed him. Do we pass the murderous guilt to other members of the Masonic Lodges that are 1,500 miles away in Arkansas? No. Ed’s Fact 2 not ingnored but downplayed: 20% of the current standing United States forces were being marched on Utah which was at the reccomendation of a man from Arkansas. MATTS RESPONSE: On June 29, 1857, U.S. President James Buchanan declares Utah in rebellion of the U.S. government. Buchanan was from Pennsylvania. Even if he was from Arkansas, how could Mormons hate one person from Arkansas with enough intense hatred to provoke them to kill everybody over the age of eight from Arkansas or Pennslyvania? That is no reason to kill innocent people! In fact, the United States military forces had no battles with Utah Mormons. The train’s leadership may not have been aware of Young’s martial law order since it was not made public until September 15. The massacre most likely happened on September 11th. In any event, the Utah War was a minor political conflict and Brigham Young was in full charge of the Mormons. A civil war was no reason to slaughter 120 innocent civilians from Arkansas. Ed’s Fact 3. The LDS membership has had an extermination order placed against them in Missouri, Run out of Ohio and Illinois (Nauvoo) as well as had their 1st Prophet Joseph Smith Killed in Carthage. MATTS RESPONSE: The Mormon doctrines of polygamy incited Governor Boggs of Illinois to issue an extermination order. However, this order was issued in 1838, about 19 years before the Mountain Meadows massacre. How does one act to eliminate polygamous Mormons from Illinois justify the cold killing of 120 innocent settlers? Ed’s Fact 4. Freedom of Religion not really supported by the US Government even though it is a constitutional right. MATTS RESPONSE: What does freedom of religion have to do with the Mountain Meadows massacre??? Is there a freedom to kill innocent people in America? 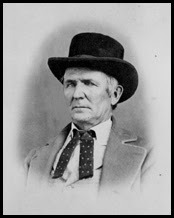 Where was justice evere carried out in Mountain Meadows massacre? Why was only one Mormon, John D. Lee, executed for this terrible crime when as many as 60 Mormons took part in the massacre?? ?